Whether you’re looking to raise funds or entertain clients, Hatstand Opera have the experience, expertise and sheer entertainment factor to make your event something special. 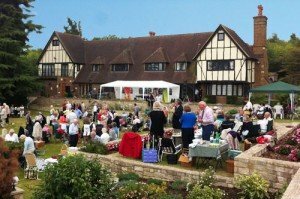 With a charity fundraising performance by Hatstand Opera, raising funds for your charity becomes fun again! Whatever your charity, large or small, national or local, a Hatstand Opera charity benefit performance can raise cash, profile and interest in your worthy cause. What’s more, you can relax in the knowledge that Hatstand Opera offer the full backup of a professional opera company to your event, from quality publicity to PR. Who books a Hatstand Opera charity benefit event? Regional committees for national UK charities, local charitable organisations, individuals, trustees, you name it! They found that a live performance by Hatstand Opera offered something different for their supporters, and every year, they raise substantial sums as a result. Many booked an innovative Hatstand Opera show rather than a charity gala concert in order to attract the widest range of loyal supporters and new potential donors. a black tie event or show – people love to dress up! To discuss your ideas for fundraising with opera, call us on 01252 511 762. 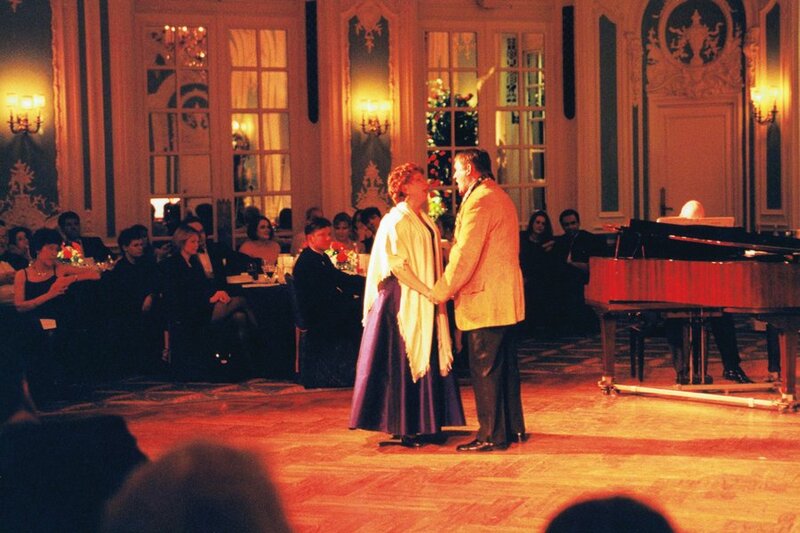 Give your corporate event, product launch, trade show, or international conference some drama and passion – with opera! Hatstand Opera have created stunning music for events held by UK companies and businesses, to delight delegates and guests from around the world. With extensive experience of performing in both large hotel function rooms and intimate spaces alike, with the minimum of fuss and maximum entertainment value, we are every event planner’s dream! Opera is absolutely ideal entertainment for your international conference dinner. 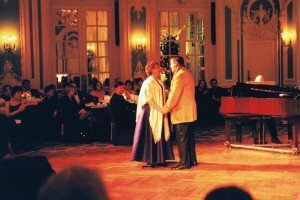 Our professional opera singers perform in several European languages for a start, and our record is entertaining over 23 nationalities at one London conference dinner at The Dorchester! Make Hatstand Opera one of your conference events this year, and set your business conference way above the rest. Whatever the occasion, opera grabs attention, so why not use us to promote your new product, new venture, or even new business premises. We’ve christened several new prestigious premises with an opera performance – at the opening of a Norman Forster building in London, we sang six storeys up on a glass platform! Whether you’re an event planner, event company or conference management company, call us on 01252 511 762 to discuss your event entertainment requirements.